By mid 2015 the Proof Of Concept had drifted towards an unsatisfactory though predictable conclusion, but I was getting several leads from Microfocus. These were all COBOL users that had no idea how to support or get off their ageing systems. One in particular had an ancient version of Microfocus COBOL, and I sat with their Development Manager and Chief Executive. We discussed the security of the Microfocus system, and the need for a dongle to ensure that code could still be compiled. The Chief Exec was horrified to learn that the two dongles sat side by side in an open office. No disaster recovery, no separation, no protection. The dongles themselves were twenty years old, but still in good working order. However, it was a very fragile basis on which to run a multi million pound company. Other potential clients included a software company just down the road who simply wanted some COBOL resource, and a garden centre warehouse in Birmingham that had no remaining system expertise within the organisation. I was keeping busy, but I called an agent that I was friendly with and asked if they knew of any part time consultancy roles. They didn’t, but by coincidence the following day I got a call from the hiring manager at the payday lender. He was now at a different payday lender, and they wanted someone to manage UAT for a crucial and highly regulated remediation project. It wasn’t for him directly, but I met the programme manager and agreed on a three month engagement starting off on a part time basis. The incumbent test manager seemed only too pleased to pass off UAT to myself, and I recruited a team to get through the project. I created a UAT test strategy in the mistaken belief that it would align with the company test strategy. There was no company test strategy, so I shelved it. Then I got a call to go to their southern office to explain the test strategy to the regulator. It seemed to impress them and they left with a very positive attitude. Unfortunately, there were no requirements to speak of, and therefore nothing to formally test against. The plans were in place, but they were not adhered to. The first implementation broke all of the rules and was not surprisingly poorly received. The project cracked on. I kept sticking to my principles and eventually it paid off in a surprising way. My friend and colleague who first introduced me to the job took over the project. He got rid of the original consulting firm and replaced them with one of the “Big Four”. The project effectively started again, both in terms of timescales and requirements. I welcomed the change and the restructuring of the project, with leaders encouraged to think differently to achieve the best outcome. IT was a constant battle as they were not used to this new methodology. One particular conversation concerned testing the roll back in case anything went wrong with the implementation. Their position was that they regularly did roll back testing so they would not need to do anything in particular for this project. I pointed out that they had never done a retail, online and decision engine deployment simultaneously, and they agreed. The roll back testing was scheduled and completed well in advance. Conflicts were addressed by team building and bonding sessions, and pointless meetings were eliminated at an early stage giving the whole project a very efficient outlook. The remediation project was going well, but my fitness was not! 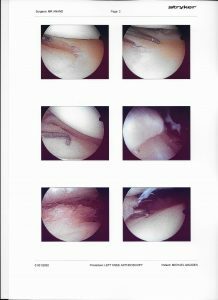 I had been carrying a knee injury for many years, in fact it went all the way back to 2005. The op I had back then was still good, but despite intensive physio, injections of imitation synovial fluid and a steroid jab, an operation was needed. It was a painful operation, with a lengthy recuperation, and it involved breaking my leg, sticking a wedge in to realign the bone, then pinning the whole thing together. Thanks to the wonders of modern technology I spent many days hooked up to webex for requirements gathering sessions. These proved to be invaluable, and when I got back to the office it was as if I had never been away! My American partners wanted to move forward, and suggested a meeting in Washington to discuss. I booked flights and then we agreed to travel to Toronto to attend the Microsoft partner conference. It was a whistle stop week. Manchester to Washington Monday. Washington to Toronto Tuesday. Toronto to Washington Wednesday. Washington to Manchester Thursday. The best laid plans were screwed when my flight to Washington from Manchester was delayed several hours and then cancelled. Fortunately I was bit more savvy than the airline, and I got them to reroute me to Toronto via Amsterdam the next morning. I got up in the middle of the night to ensure I got the connection to Amsterdam, but first I read an automated email from Expedia asking me to rate my checkin at the Westin in Reston. I must admit I didn’t give them a glowing review, as I was still in Manchester at the time. KLM then said I was booked on to the 6am flight but I didn’t have a ticket. I would need to get Delta to issue one when they opened at 9am, three hours after my flight was due to depart. Eventually someone saw sense, issued a ticket and I was on my way, arriving in Toronto just an hour or so behind schedule. We headed to the conference, and had to sneak into a couple of sessions as our already expensive tickets were not the very expensive ones that gave you a pass into these side events. We met a couple of interesting people, one of whom claimed to have a migration tool that could convert anything to anything else. I mentioned COBOL, Assembler and a couple of other common legacy technologies, and his blank look told me all that I needed to know. The following day we met some potential investors at a marvellous steakhouse back in DC, then my last day was spent visiting an old friend at the government mortgage agency who was only too happy to discuss my new venture. Back in England the remediation project was proceeding in an orderly manner towards what proved to be a very successful implementation. I was required to verify the UAT results and go to the end of project party, so my time appeared to be coming to an end. I expanded into other areas, including GDPR that I had first encountered at a Microfocus conference. It soon became apparent that many organisations were blissfully unaware of the new data protection regulations, and those that were tried to categorise the project as either marketing, IT or legal. In fact it was all three and so much more, and I was retained by the payday lender to provide consultancy on their GDPR efforts. Most of it went smoothly, as we overcame technical, logistical and resource constraints, but the deeper we delved the more problems we unearthed. Legacy systems from years ago, failed migrations, lack of technical knowledge, and a seriously depleted workforce added interesting challenges. One by one they were overcome, but not before getting through a succession of project managers. We eventually settled upon an experienced chap who brought plenty to the party, and with the refreshingly pragmatic approach from our project owner, who was a part of the legal team, we could see the finishing line in sight. Along the way my Dutch partners got in touch with a quite unbelievable project. This was an Assembler to COBOL migration, from the very old to the almost as old, or from the Jurassic to the Cretaceous periods in terms of technology. The Assembler was some of the most technical that I have ever seen, and with Microfocus and the client also tampering around the edges the project was a constant headache. I flew into Bill and Hillary Clinton airport in Little Rock, and met the project team. This was my first direct interaction with the end client, despite being on the project for several months prior to that. Red flags included the lack of a testing strategy, and test harnesses that were created on the fly. I saw it through to the end, but it was a relief when I finally packaged up my laptop and sent it back to the client! Meanwhile, I published two more books. 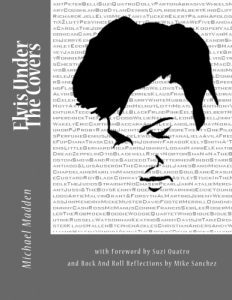 The first of these, Elvis Under The Covers, was released to coincide with the 40th anniversary of the death of Elvis Presley. 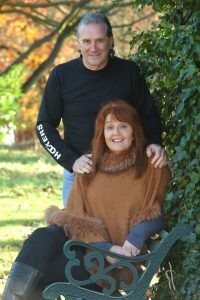 I was amazed when Suzi Quatro emailed me and agreed to not just provide a few words but to write an entire foreword. Other contributions came from Eddi Reader, Kenny Vance, Tanya Tucker, Wanda Jackson, Al Kooper, Chris Spedding and so many more. It led to a great tour of radio stations, including Ex Pat Radio where I got to interview Mindy Miller, one of Elvis’s ex girlfriends. As it turned out, I ended up doing a regular show on Ex Pat Radio, interviewing several great authors including the wonderful Carol Drinkwater. 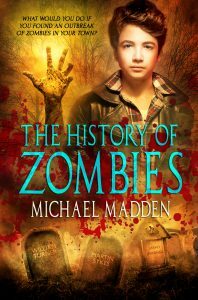 The second book was The History Of Zombies, a book aimed at getting my youngest son off his X-Box and into a book. It has not worked so far – but its early days! There was also an interview with The Times on the merits of changing the IR35 tests for contractors in the public sector. The article was butchered before it went into print, but it led to a few nice photos (see above) and some embarrassing scenes as my wife showed the printed picture to all and sundry. The GDPR world was taking off, and friends and colleagues started calling as they knew that I had at least some knowledge of the subject. I worked with recruiters, and with a recruitment CRM provider, ensuring that their CRM would be compliant even if their recruiters chose to ignore the rules. As it turned out the recruitment CRM was not alone in not having a bulk delete function, and back at the payday lender there was a great deal of head scratching as to how we would get our data retention compliant on ancient and largely unknown systems. As the deadline approached the view became much more relaxed across the board, with most clients insisting that as long as they were working towards compliance they would be ok. I await the first major test case with eager anticipation! My American partners were bought out by a private equity firm, and that led to a lot of activity. I went down to London for a few days as we discussed potential purchases and partnerships. The intention was to build a best of breed legacy modernisation company, with me at the head. The London trip was followed by a week in Washington DC working on strategy, but the wheels of industry can turn slowly at times. As I write this there are more opportunities opening up in the legacy modernisation world, with meetings between my Dutch, American and new found English partners. However, for now I continue to play cricket, present a radio show, cook, write and provide consultation on GDPR, IT and other related subjects in my spare time. 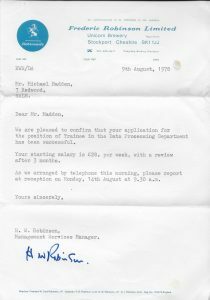 I hope you have enjoyed reading, and whilst I am not at liberty to provide the financials of current contracts, here is where it all began! 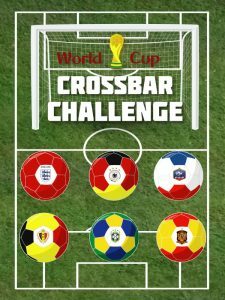 This entry was posted in Assembler, COBOL, GDPR, Legacy Modernization, Uncategorised and tagged assembler, Carol Drinkwater, Clinton, COBOL, crossbar challenge, elvis presley, Ex Pat Radio, GDPR, KLM, little rock, Microfocus, Microsoft, Mindy Miller, MMU, suzi quatro, Toronto, UAT, Washington DC, zombies.